On February 21st, all activities of the Theta Chi Fraternity at Lehigh University were temporarily suspended. This action was taken because of alleged University policy violations by the chapter and its members during the new member education process. Allegations included: hazing, providing alcohol to minors, and failure to follow the chapter’s approved new member education plan. The Office of Student Conduct & Community Expectations investigated the situation and will not currently be bringing Code of Conduct charges. The chapter complied with the interim suspension and has returned to active status. Theta Chi will be working with the Office of Fraternity and Sorority Affairs to ensure that their new member education plan remains congruent with both Lehigh and Theta Chi Headquarters expectations. 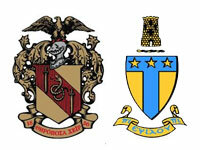 On February 14th, all activities of the Alpha Tau Omega Fraternity at Lehigh University were temporarily suspended. This action was taken because of alleged University policy violations by the chapter and its members during the new member education process. Allegations included: hazing, providing alcohol to minors, and failure to follow the chapter’s approved new member education plan. The Office of Student Conduct & Community Expectations investigated the situation and will not currently be bringing Code of Conduct charges . The chapter complied with the interim suspension and has returned to active status. Alpha Tau Omega headquarters currently has staff at Lehigh working with both the chapter and the Office of Fraternity and Sorority Affairs to ensure that their new member education plan is congruent with both Lehigh and Alpha Tau Omega Headquarters expectations.